Kalamazoo, Michigan // 66,700 sq. ft. Replace the 1921 Washington Writers’ Academy building with a new elementary building. 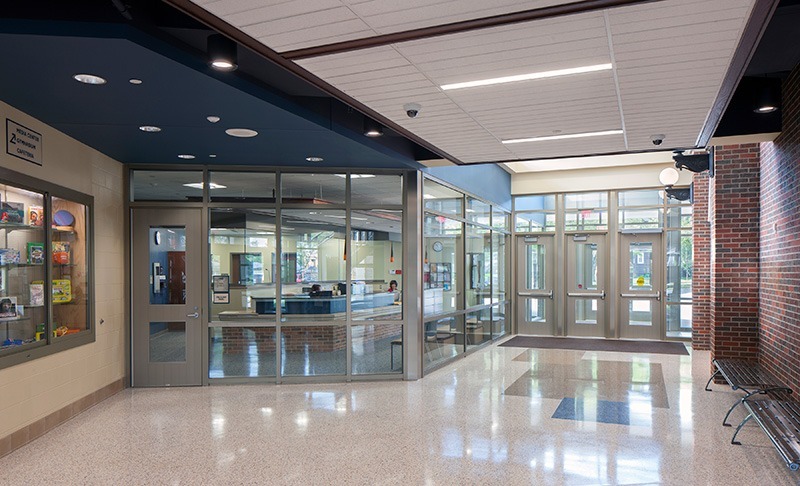 The existing building posed a number of challenges for school security and was lacking in spaces that support the needs of today’s students. 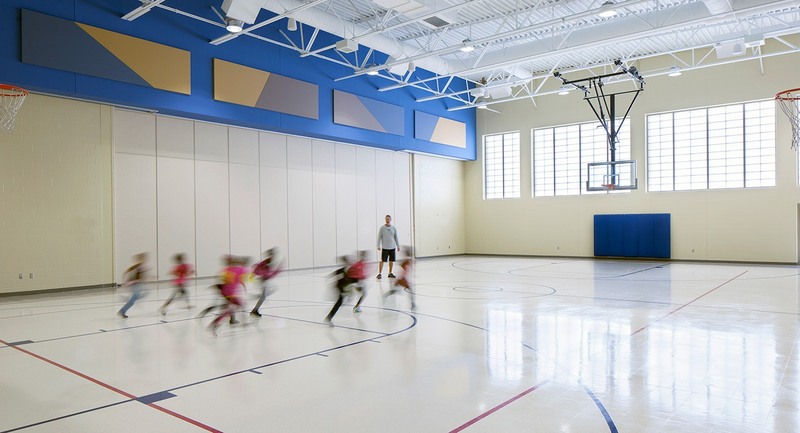 It was required that the gymnasium, built in 2003, remained and that the new structure integrate into the surrounding neighborhood and continue to serve as an anchor for the community. 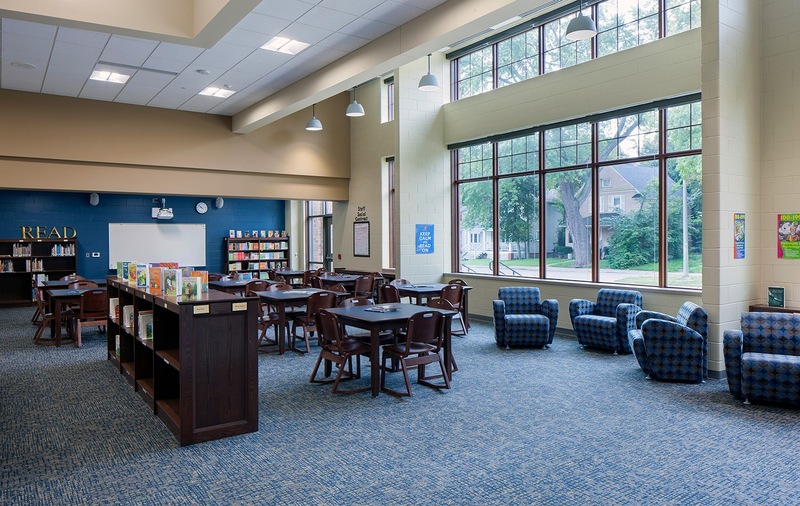 The new two-story Washington Writers’ Academy is organized on the site so that it has a greater presence along the Portage Street corridor. Due to the urban setting, on-site drop off and parking is limited. The bus drop off is located in a pull-off lane along the north side of the site. Parent drop off and parking is located to the south. The new building layout allows for easy supervision of activities from a few select points. 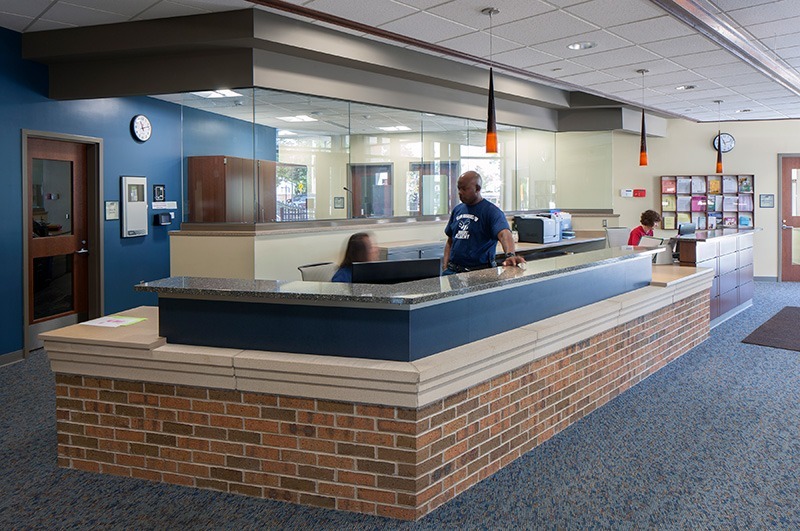 Equipped with a secure entry vestibule, the main office is located centrally to allow for direct views to the two drop off areas and for a direct view to the main access stair to the second level. 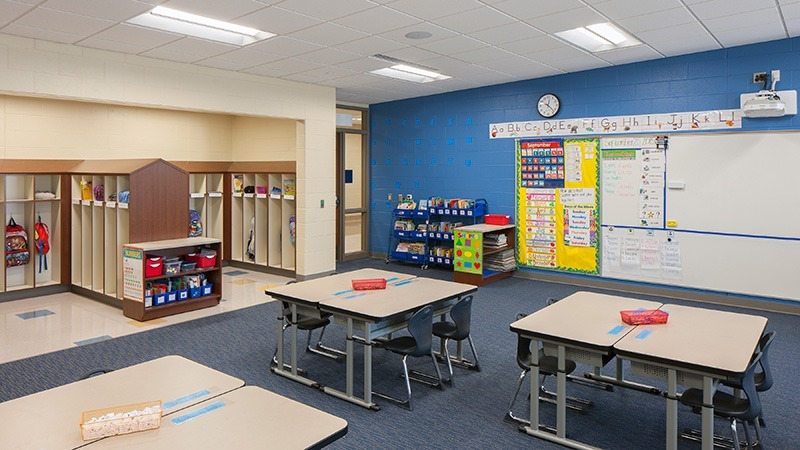 The detailing of the exterior brick and stone along with the traditional looking windows of the classroom wings pay homage to the historic educational buildings that previously stood on the site. The main entry and stairwells are detailed in a more contemporary arrangement through the use of glass and metal.